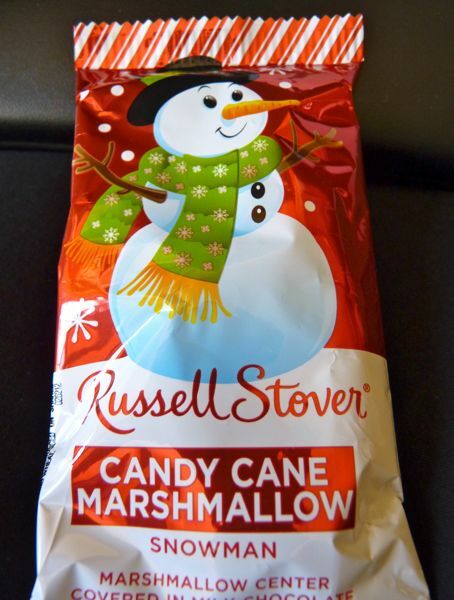 When candy canes start to appear everywhere, images of snowy landscapes and Christmas generally follow. And where there is snow, there are snowmen and snow creatures. 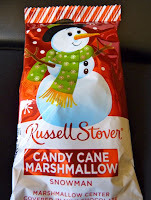 Today's chocolate, Russell Stover's Candy Cane Marshmallow Snowman, captured all these themes in one gooey, crunchy treat. 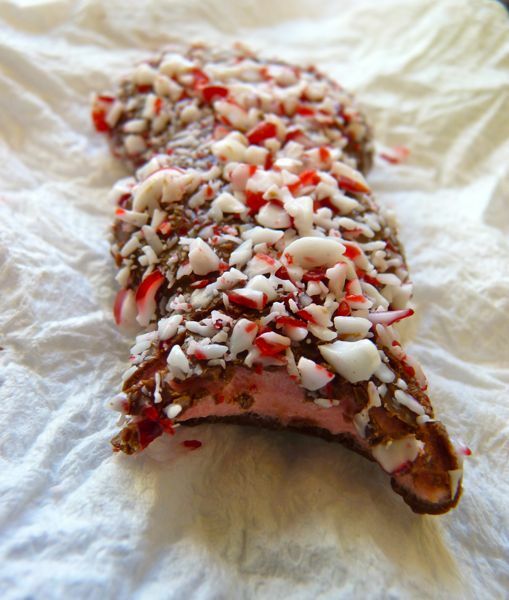 A pink peppermint marshmallow center was coated with chocolate, and then topped with crushed candy cane pieces. 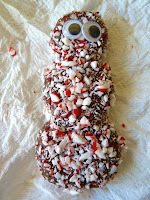 Once unwrapped, the snowman did look rather forlorn without a hat, eyes, nose, and other features. 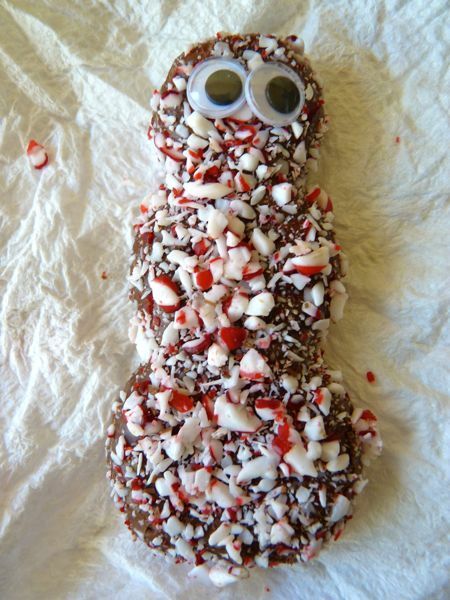 So, the least I could do was pop some googly eyes on the poor fellow, before taking a bite out of him. 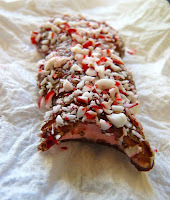 Today was Day #2 of Chocolate and Peppermint Candy Cane Theme Week.